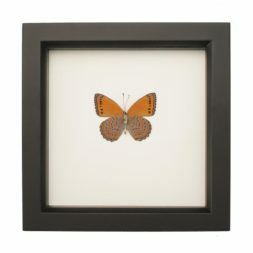 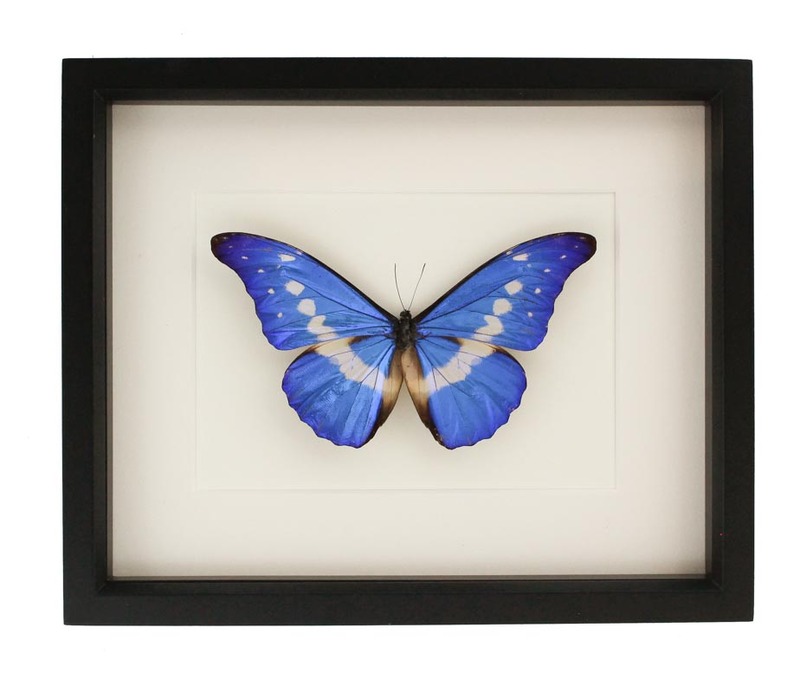 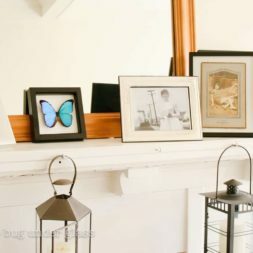 This framed Morpho rhetenor helena is a rare and stunning species of Blue Morpho butterflies. 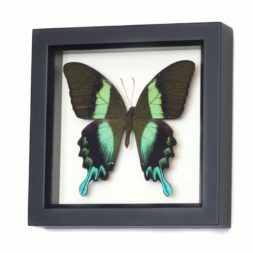 It is one of nature’s most spectacular examples of structural coloration and its iridescence is due to a phenomenon called constructive interference. This unique natural structure has been mimicked in the manufacturing of paints, fabrics and some inks used in currency. 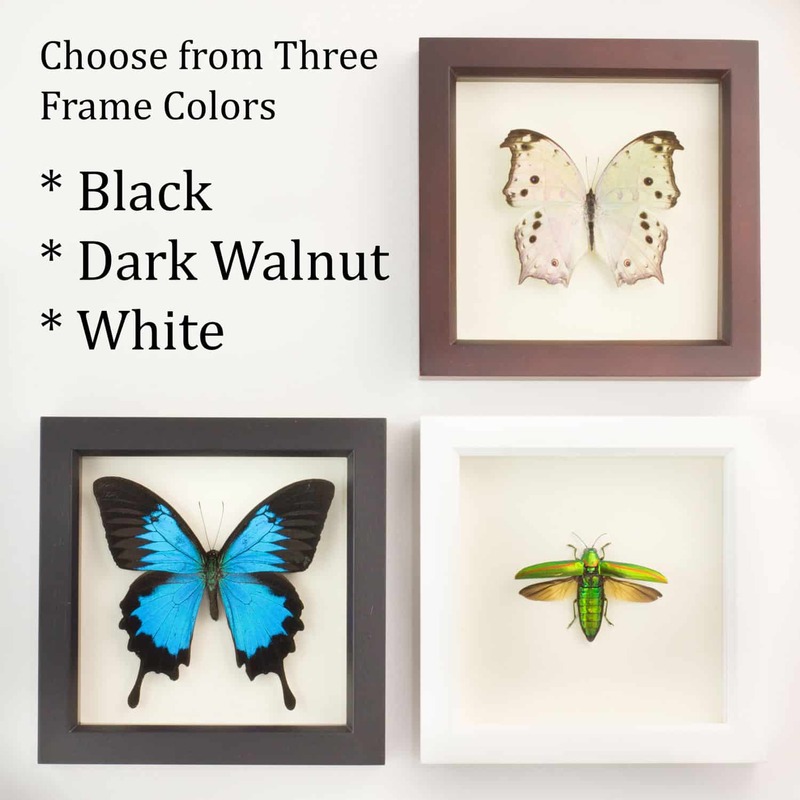 Professionally framed with UV blocking glass so colors won’t fade. 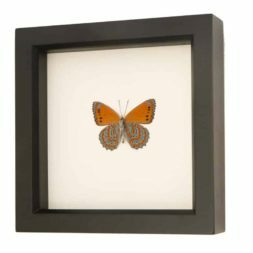 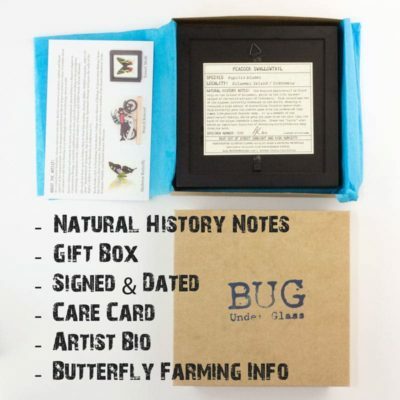 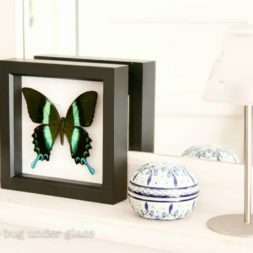 ► Wrapped with tissue paper and info about ethical butterfly origin and care of display.